The Leavenworth constitution was the third of four constitutions proposed for Kansas statehood and the second free-state constitution (after the Topeka and before the Wyandotte constitutions). Delegates for the territory's third constitutional convention were elected on March 9 and assembled in Leavenworth on March 25, 1858. 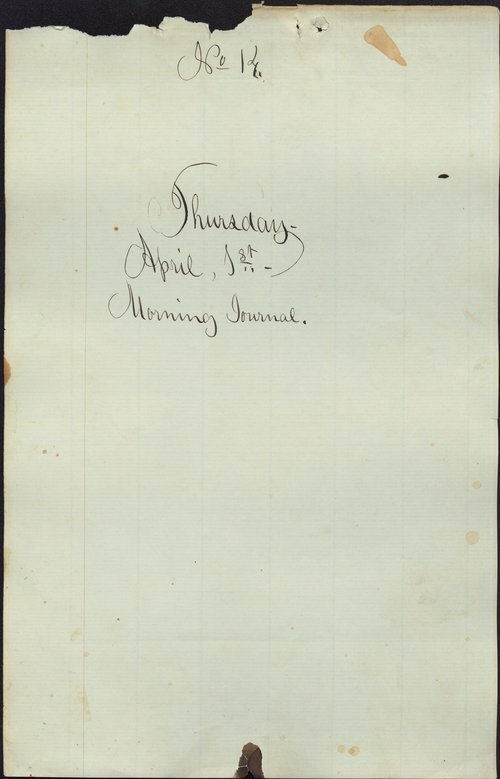 The delegates considered the "Homestead Exemption" during the morning session, April 1, 1858. The provision was amended so as to make the basic exemption 160 acres or not over $2,000. The vote on this was recorded and the yeas and nays are followed by numerous explanations--many delegates who voted nay did so not because they opposed the concept.